The problem with peopling a comedy series with annoying characters is that the series as a whole can end up being annoying rather than funny. 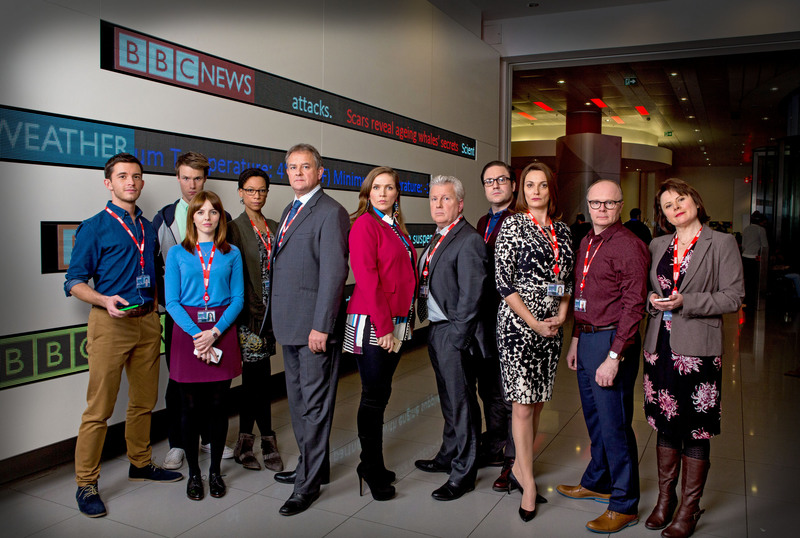 This is a bit of an issue for W1A, John Morton’s follow up to his own Twenty Twelve. That dealt with the farcical goings on at the fictional Olympic Deliverance Commission in the run-up to the 2012 London Games. 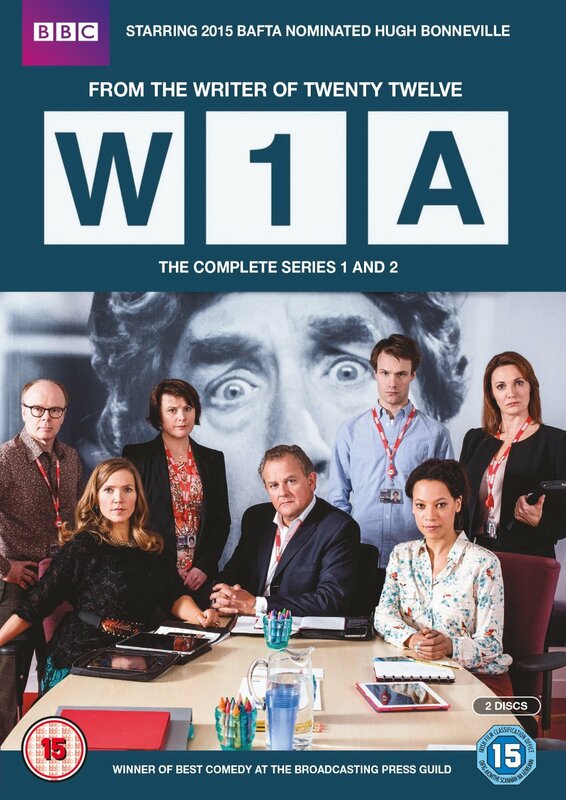 This follows the onetime Head of Deliverance Ian Fletcher (Bonneville) as he grapples with the frustrations and inertia of life at the BBC where he has been appointed to the meaningless position of Head of Values. Fletcher is not especially annoying himself and along with Head of Inclusivity Lucy Freeman (Sosanya) is probably the closest thing we have to a hero or at least a sympathetic character in the whole thing. Fletcher is joined by the most memorable character from Twenty Twelve, the vacuous Siobhan Sharpe (Hynes, in her best role since Daisy in Spaced). A strong cast of supporting cast notably Rufus Jones, as a camp dim-witted ideas man and Hugh Skinner as a hopeless intern. Numerous problems confront the hapless Fletcher in these seven half-hour (plus one-hour special) episodes. A Spotlight South West presenter complains about a perceived anti-Cornish bias at the Corporation towards her, though she does not actually come from the county herself. A row emerges when details of Fletcher’s salary are leaked and chaos ensues after it is revealed Newsnight presenter Evan Davies is to appear on Strictly Come Dancing. The show wears its celebrity cameos lightly and does not rely on them too heavily for humour. John Morton was behind the earlier “mockumentary” People Like Us (which starred the now disgraced Chris Langham) and as on that there are moments of genius in the show’s deliberately inane voiceover, here delivered by David Tennant as in Twenty Twelve (“Sting has called up Alan Yentob personally and called him an actual prick”). There is much to commend here. Another brilliant touch is that the show’s offices have all been named after comedy giants of the past. Hence “inside Frankie Howerd,” there is a huge, rather alarming backdrop featuring the face of the Up Pompeii! star. It is admirable that the BBC has produced something that is so critical of itself. However, in general, too many of the characters either speak in catchphrases (“I’m not being funny but…”) or obstructive cliches (responding to a question with an unhelpful “brilliant” rather than answering it) that it is sometimes as frustrating as the media world it depicts. Otherwise, and I’m not being funny or anything but it’s all good.